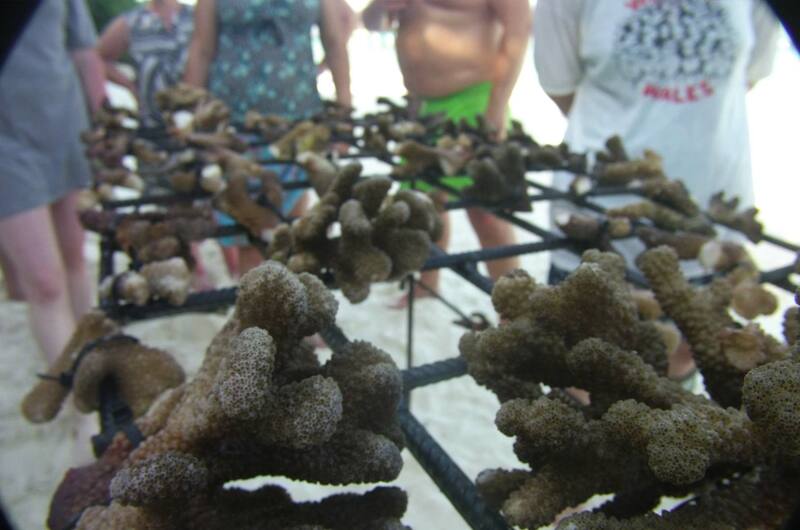 INTRODUCTION: Coral may get damaged due to many different threats such as: large storms and waves or irresponsible divers and snorkelers. Corals are organisms that reproduce primarily asexually to grow larger or repair damaged areas. 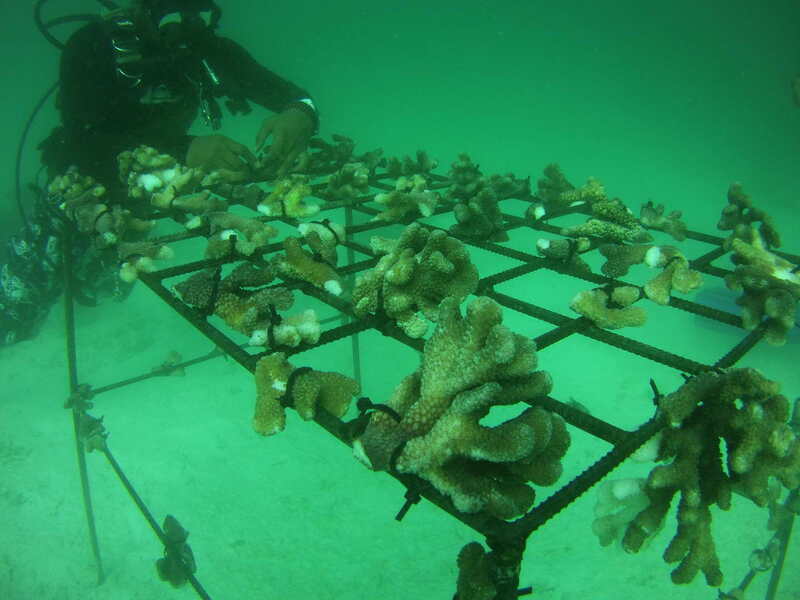 Thanks to this feature, it’s possible to grow new coral colonies from fragments (smaller or broken pieces of coral). 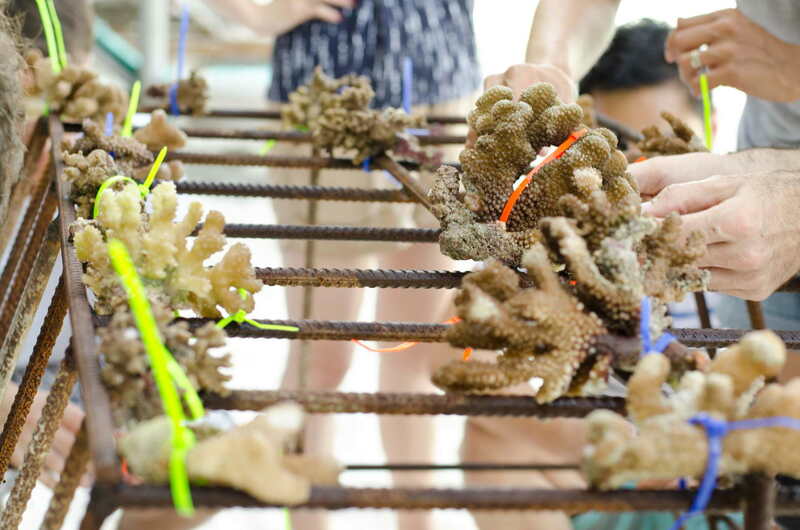 MATERIALS AND METHODS: These broken corals, when rolling around the sand, have almost no chance of survival and usually die. 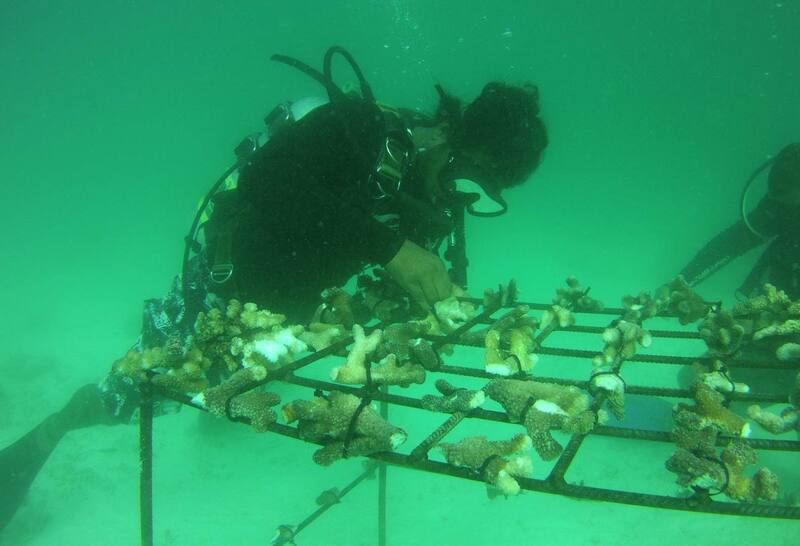 But, by securing these fragments in good growing conditions they can be rehabilitated and become a mature colony. 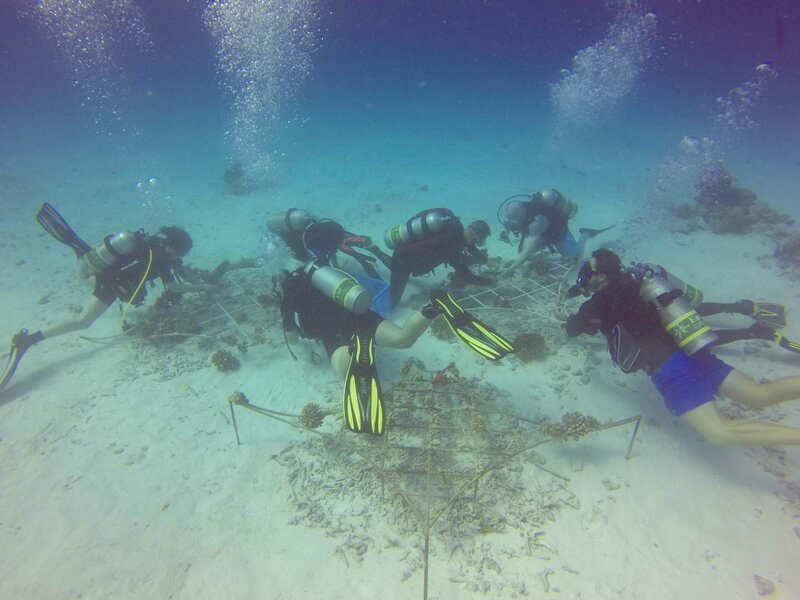 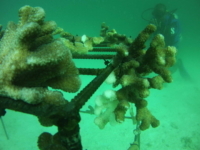 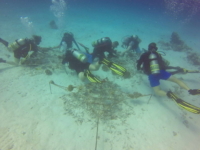 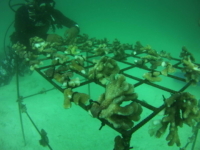 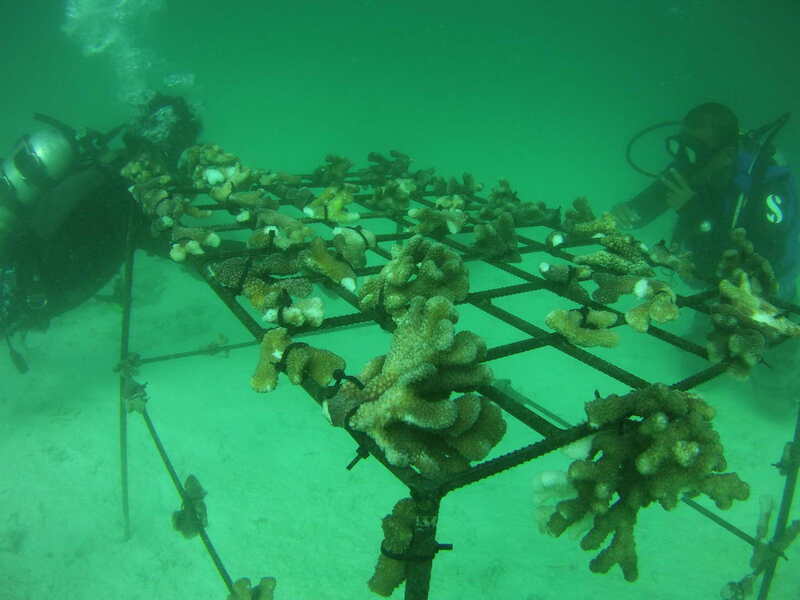 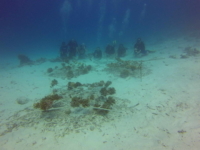 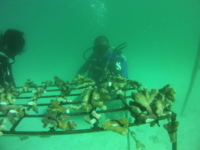 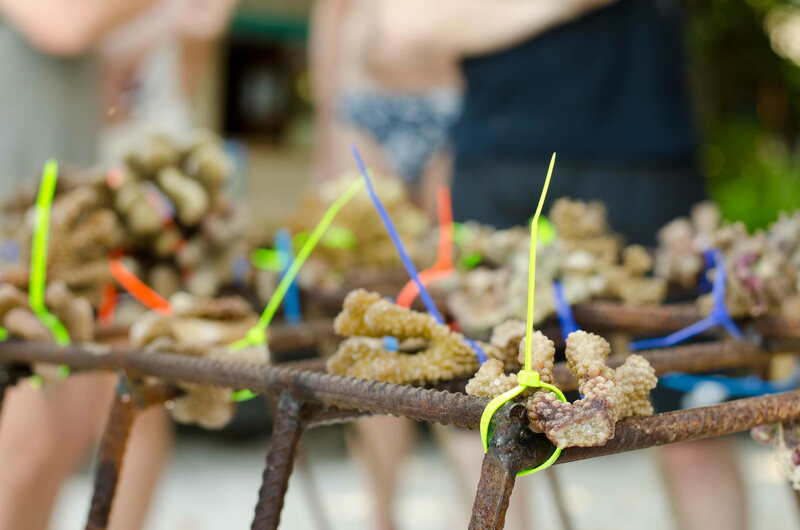 The coral fragments will be attached to the structures using cable-ties or underwater glue. 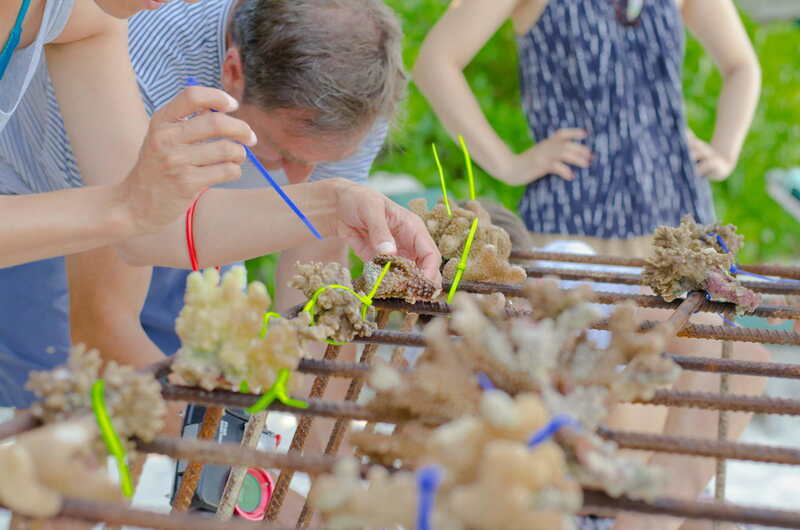 We have to consider restoration as an ongoing process over a time-scale of 10 – 30 years or even more. 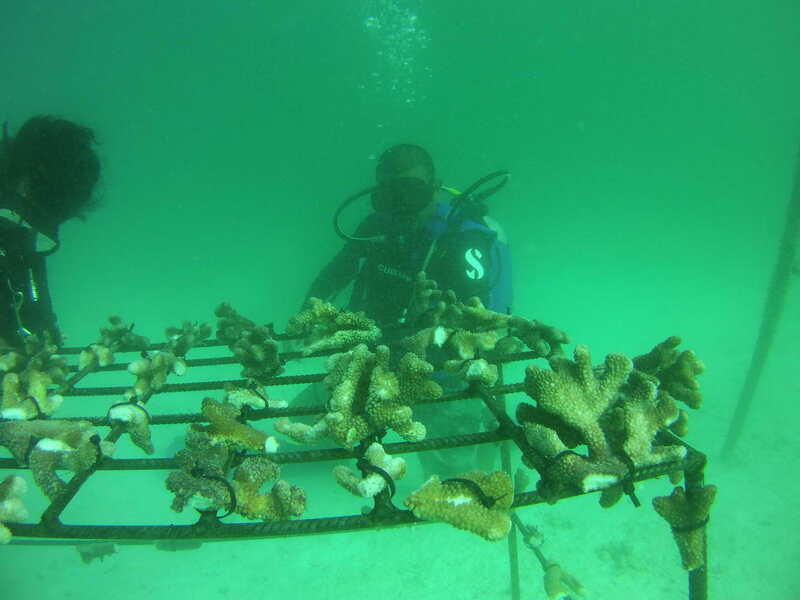 Each restoration site and project has its own unique set of circumstances to consider. 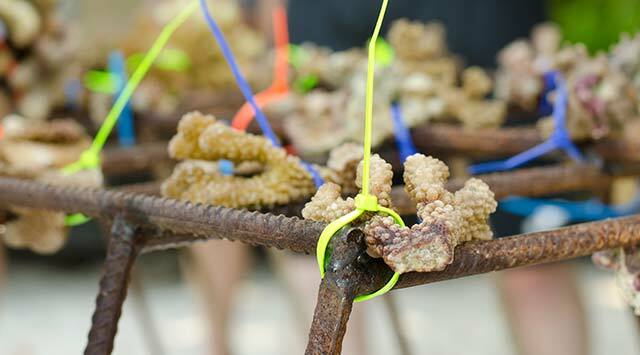 All risks can never be fully avoided or mitigated. 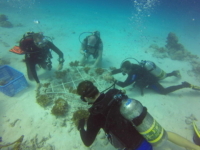 Studies show that the ability to recover for a reef already under stress, undoubtedly, takes a long time. Our long-term goal is to provide a sustainable regrowth project that can be monitored and maintained for years to come.